Like the water coursing through so many of his landscapes, painter Steve Driscoll moves ever forward, injecting fresh energy into a most traditional Canadian genre. The exhibition Just a Sliver of the Room marks the latest point in Driscoll's ongoing exploration of this fertile terrain. The centerpiece, Recovered Shore, is a stunning eight-panel shoreline scene, ablaze with the colours of late summer. At forty feet in length, it is comparable in scale to Monet's Water Lilies, and is Driscoll's largest work to date. "Despite their scale, Driscoll paints them in a single day … It helps place him in a genre of one: a landscape action painter." 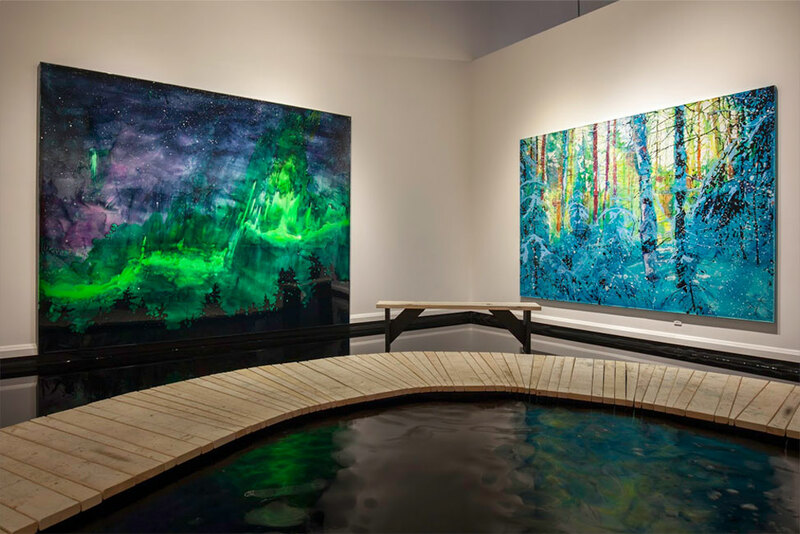 Reflections of this intoxicating landscape are captured in an artificial lake installed in the gallery. Viewers take in the breathtaking shoreline vista from a meandering wooden boardwalk, reminiscent of viewing platforms in provincial parks, or evenings relaxing on the deck in cottage country. As people walk along the boardwalk, which is positioned over the lake, the vibrations from their footsteps set in motion ripples that activate the reflections, further animating the space. Visitors attempting to drive into deep snow conditions should use caution and travel with necessary emergency equipment to free their vehicle without assistance from Park staff. 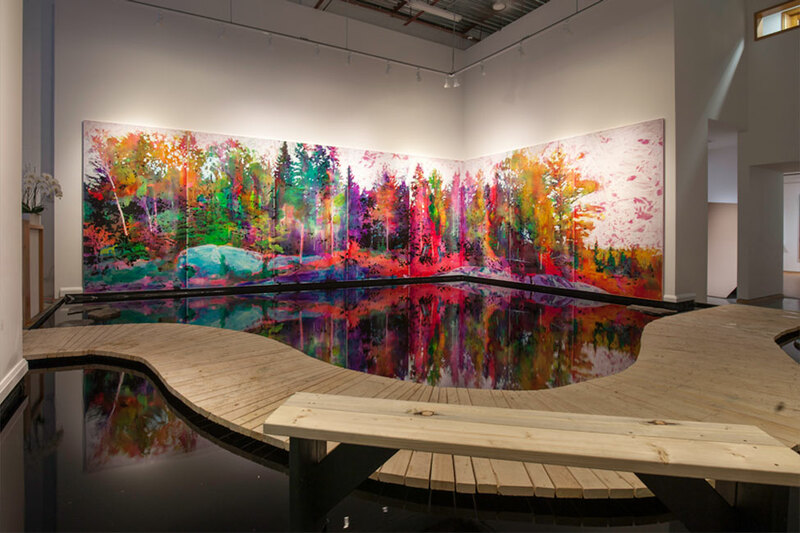 Recovered Shore, inspired by one of Driscoll's camping trips in Algonquin Park, is painted in the artist's signature technique of pigmented urethane. This unlikely and challenging medium, in Driscoll's expert hands, is coaxed into a dazzling range of effects, emulating the black of the forest's inner recesses, the pearly translucence of shimmering spray and the golden radiance of sunlit leaves. In true Canadian fashion, it was the weather that brought Driscoll to his chosen medium. It was raining on a day when he had to transport a large water-soluble ink drawing ("it's notoriously raining every time you're moving artwork," he laughs), and he remembered the protective qualities of urethane from his days working at Canadian Tire. "I sprayed it on my panel and it did some fantastic things to the surface. It's like immersing paint underwater." 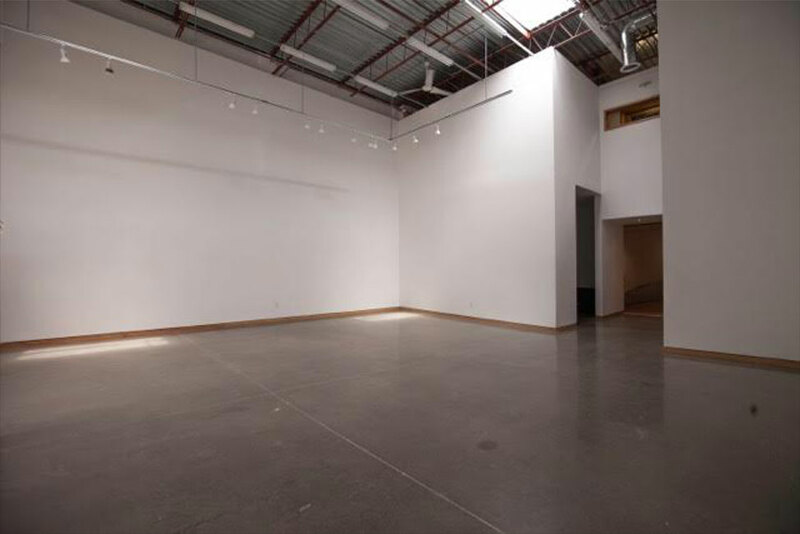 Driscoll was sufficiently intrigued by urethane’s possibilities to continue experimenting with it, in spite of having to equip his studio with special ventilation in order to safely use this potentially toxic substance. At first it served as a binder for abstracts. But then Driscoll, keenly sensitive the potential of materials, saw that urethane was taking him in a different direction. And that thing that he does — landscapes — what draws a contemporary artist to a theme that, as Driscoll himself notes, is pretty much absent from contemporary art fairs? Studio prototype. Before setting up at Angell, Steve’s studio became the guinnea pig. Ironically, it’s the very condition of being an urbanite that drives Driscoll to seek the wild. Like many Ontarians, he grew up experiencing cottage country as the place of respite from the pressures of city life. These days he eschews the comfort of four walls for a more direct experience of the outdoors. “I spend a lot of time outside, probably around a month each year. I like to spend nights solo, pretty far out, so I don't see or hear anyone.” These trips, part recreation, part research, provide the bones on which he builds his works. A painting starts with a china marker drawing based on images collected during these excursions. Then he gets out the pigment and urethane and the alchemical transformation begins, aided and abetted by both material and memory. It’s those imaginative leaps that make Driscoll’s work so compelling. Passages of candy-coloured hues far beyond the palette of nature underscore the painted image as a memory intensified, “recovered” (as the title Recovered Shore implies) from the mind’s visual storehouse, and amplified by time. “I think when you’re looking back to your memory of an experience, you always have heightened colour,” says the artist. “When I’m doing a vista painting, I’m imaging what it felt like to be up on top of that hill, with the sun so bright on my face because there’s nothing in the way. And it doesn’t just encompass a single place or time. It comes from spending so much time in a canoe along shorelines, merging all those memories together. The shoreline and its watery doppelganger, the reflection, are regular players in Driscoll’s landscapes. In tandem with the super-charged colour, the funhouse mirror-like distortions of trees, rock and sky imbue these visions with a hallucinatory quality, acting as a portal to an uncanny looking-glass world, where everything is strangely familiar, yet different. The idea of incorporating actual, rather than painted, reflections was sparked by a recent visit to Allerton Garden in the Hawaiian island of Kauai. A creative collaboration between wealthy amateur botanist Robert Allerton and his life-long companion, architect John Gregg Allerton, this renowned botanical garden features a series of different “rooms”, each created from plant material. Other paintings in Just a Sliver of the Room depict winter and spring landscapes, sure to engage that deep-seated Canadian response to the changing of the seasons. Angell Pond. 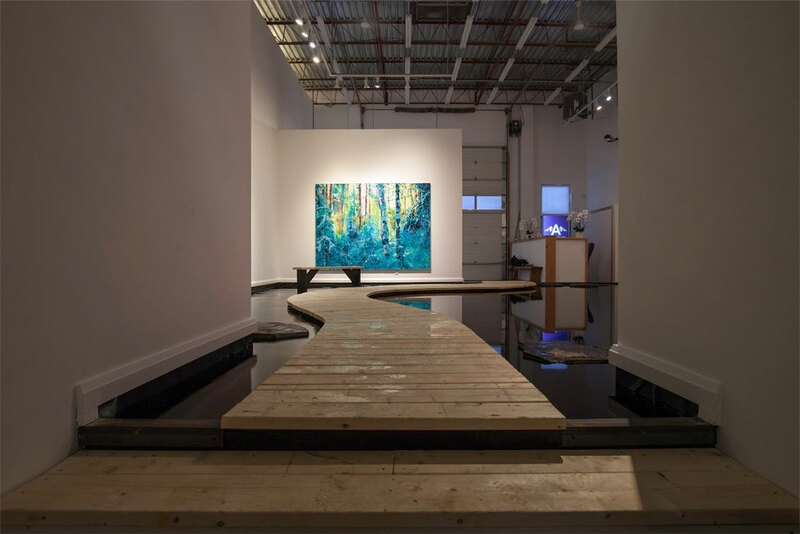 Painting title & painting title reflecting off the pond at Angell Gallery.